rooms (1 double and 1 is triple) + a third small room. Bathroom with washing machine, hairdryer, shower box. Totally equipped kitchen, including cook ware, microwave oven; terrace of 30 mq and a big balcony. All furnished and equipped at new. Also with new crockery and everything is necessary to make your stay comfortable and convenient. Anti-allergic mattresses. Large and panoramic terrace of 30 square meters equipped for dinners. Air conditioning. On request we also provide bed linen and towels. It will be my pleasure to make available to suggest arch ogic, natural, landascape, enogastronomic and folklore routes. We can process your routes and we allow the free consultation of a lot of bibliography about Sardinia and touristic maps. Very easy to reach any location in the area Bus station at 100 mt. The nearest beach is located 5 km and bus links are guaranteed every 30 minutes. from 100 euros for day. attractions in the area, visit the photo-album For more details, or special needs ask. 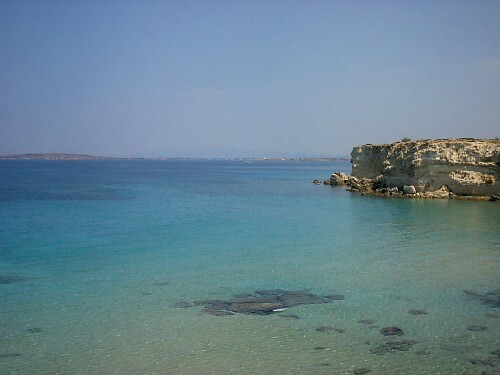 We also have other 2 homes in other areas of Sardinia and a bed&breakfast in the town Oristano. will do everything possible for you!